ChiIL Mama : July's HOT Ticket Give Aways: 2 For Matisyahu, Free 4 Packs to BenFest, Pinocchio, Schubas and Beat Kitchen! July's HOT Ticket Give Aways: 2 For Matisyahu, Free 4 Packs to BenFest, Pinocchio, Schubas and Beat Kitchen! Chicago's theatre and music scene is HOT in the summer months and ChiIL Mama's here to help you ChiIL Out with free family 4 packs. Enter at the bottom of this post for your chance to win all the following cool tickets. And check back in early and often, as we frequently add more shows as the month progresses. 2 family 4 packs of tickets to BenFest 2011-one for Saturday 7/16 and one for Sunday 7/17. We'll have a full listing of who's performing and all the great family friendly activities, and maybe even more fun surprises for our readers soon. BenFest made the smart choice to relocate to the weekend after Folk and Roots Fest this year, so more families can enjoy both. Tate from How Far to Austin booked the bands, so they've got a sweeet line up. 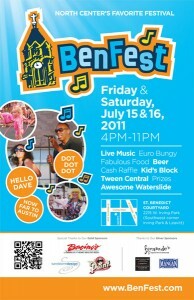 Follow ChiIL Mama and BENFEST on Facebook for 2 extra entries. Share on Twitter, your FB page or other social media and come back and enter again. Good things come to those who share. Get out and see Chicago's award winning Shakespeare Theater's production, The Adventures of Pinocchio. *This family 4 pack is good for your choice of dates throughout the run, pending availability. The traditional Italian story of a wooden puppet yearning to be a real boy springs to life with inventive and awe-inspiring puppetry, transforming CST's Courtyard Theater into a larger-than-life, European marionette stage. Carved out of wood by the lonely toymaker Geppetto, Pinocchio tumbles from one disastrous situation to another in search of adventure—only to discover that, in the end, all he really needs is an unselfish heart and the love of his father. Based on Carlo Collodi's classic tale, this world premiere CST Family musical illuminates the bond between parents and children in a magical performance that is sure to enchant audiences of all ages! Check out Chicago Shakespeare Theater's website for show times and details as well as behind the scenes fun. We will pick our Chicago Shakespeare winner on Free Ticket Tuesday 7/19. Kindie concert ticket winners are picked on the Free Ticket Tuesday preceding the show. Mama says sharing rocks. Remember, you can enter to win multiple times, with every documented social media share, until each give away closes. Early and often.. The AllStar Program is the highest level of achievement for a School of Rock student and is comprised of the top 2.5% of our students nationwide. The AllStars tour each summer with the best kids from each local school from all around the USA. Past students have toured worldwide and have shared stages with such notable acts as Jon Anderson (YES), Perry Farrell (Janes Addiction), Slash (Guns and Roses) and countless others. The AllStars are simply the best of the best kids from over 7000 School of Rock students nationwide. This year , students from across the country will be celebrating 50 years of Rock and Roll with the "Rock the House Tour"
All proceeds from this tour go to Local Ronald Mcdonald houses and Local Ronald McDonald House Charities. With more than a decade of successful experience teaching music, School of Rock is the national leader in music education for kids from age 7 to 18. 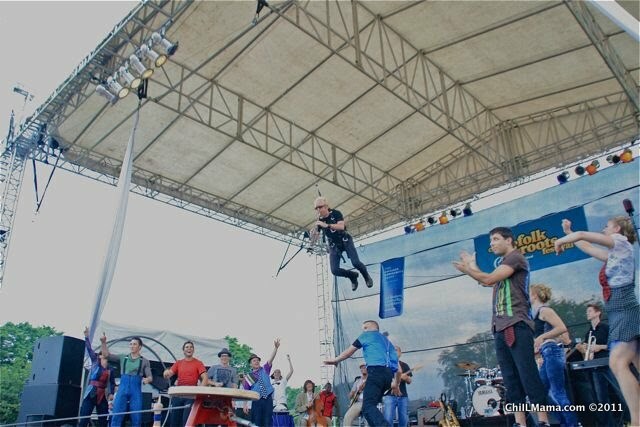 Students learn from professional musicians in an interactive environment combining weekly private lessons and structured group rehearsals with the ultimate goal of performing live in front of real crowds. Check out these amazingly talented under agers, rocking out for a great cause!